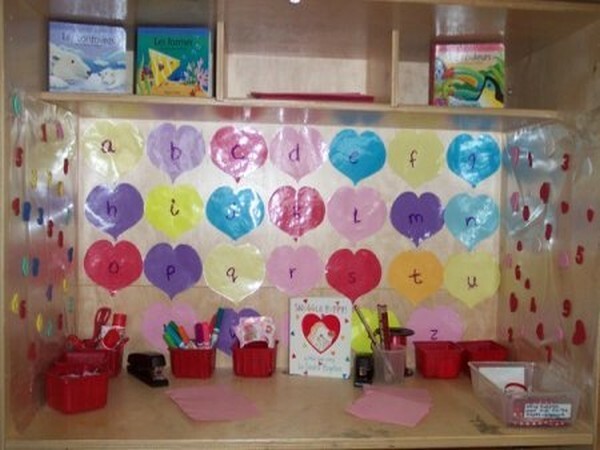 You can create Valentine bulletin board ideas, dinosaur bulletin boards, Groundhog Day bulletin boards in the month of February. You can also check out my lesson plans section to find the lesson plans that go along with these beautiful bulletin boards. 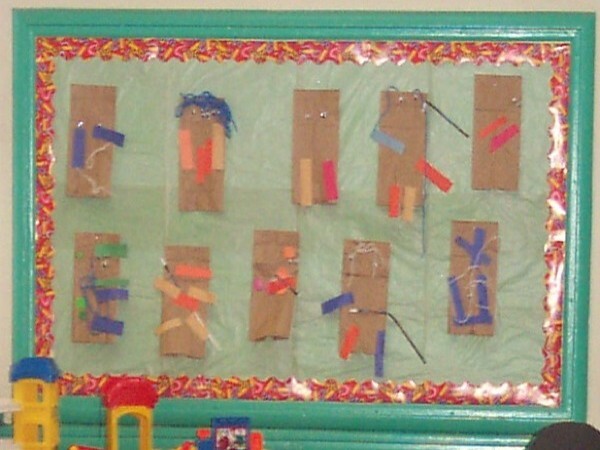 A simple way to create an interactive bulletin board and help reinforce number recognition. 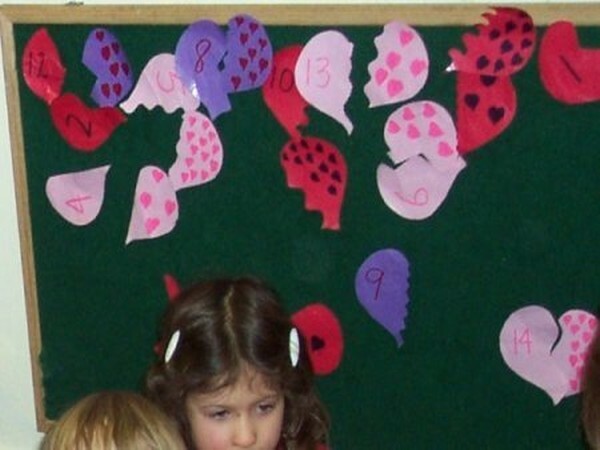 Let the children match the number to the correct amount of small hearts. 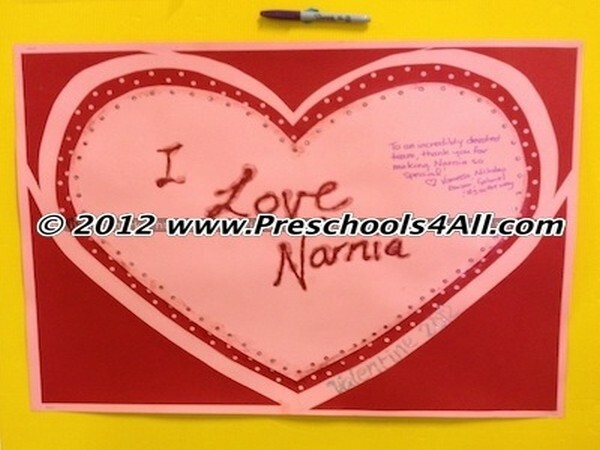 Another interactive board where the children can write Valentines Day cards to their friends and family. 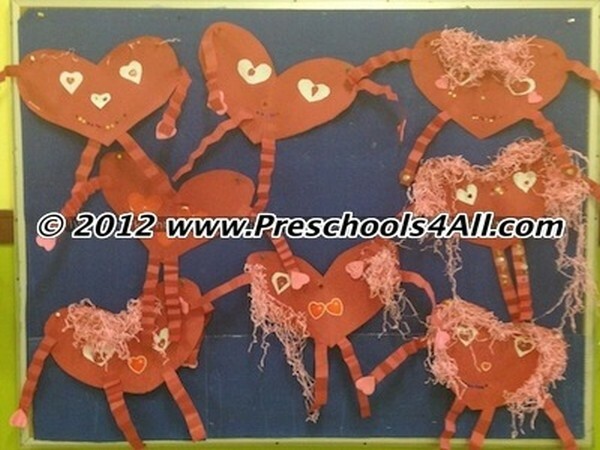 For great activities visit my Valentines Day Ideas Section. 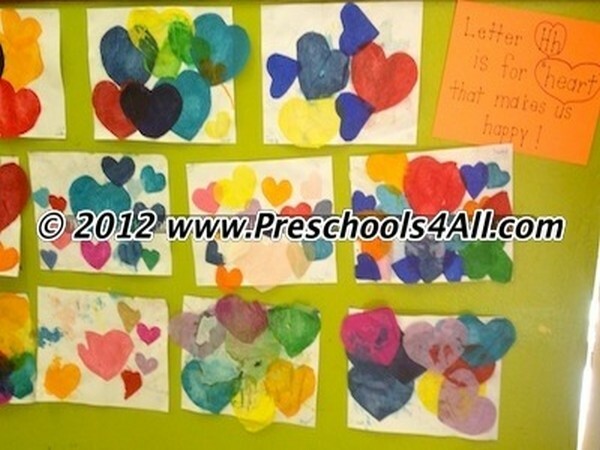 You will find my top Valentines Stories, Valentines Day Recipes, and Valentines Day Crafts. Show your love to your teachers. This big heart is posted at the entrance of our school along with a marker asking parents to write down appreciation messages to our teachers. 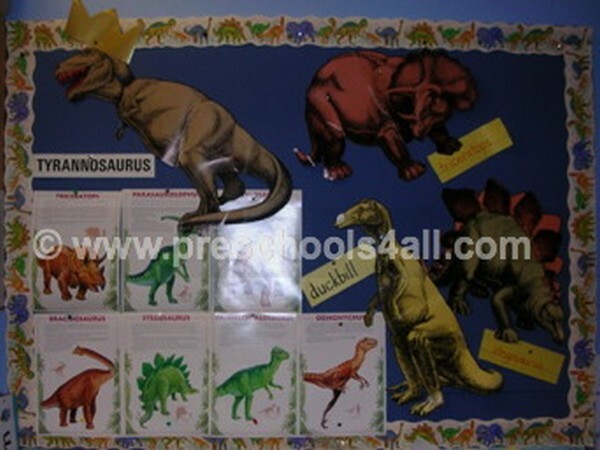 I used this bulletin board as a teaching tool while learning about dinosaurs. It is visual and clear. The children love the large size images of the dinosaurs. We encourage the children to copy the names of the dinosaurs and add them to their own drawings. Groundhog Day is on February 2nd. The children created their own puppet groundhogs.